High-quality keyboard dust cover for KETRON Audya 4. Available in Microfibre, Polyester or Synthetic Leather. High-quality keyboard dust cover for KETRON Audya 5. Available in Microfibre, Polyester or Synthetic Leather. High-quality keyboard dust cover for KETRON Audya 8. Available in Microfibre, Polyester or Synthetic Leather. High-quality keyboard dust cover for KETRON Gp 1. Available in Microfibre, Polyester or Synthetic Leather. 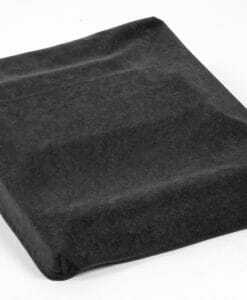 High-quality keyboard dust cover for KETRON Gp 10 A. Available in Microfibre, Polyester or Synthetic Leather. High-quality keyboard dust cover for KETRON Gp 10. Available in Microfibre, Polyester or Synthetic Leather. High-quality keyboard dust cover for KETRON Gp 50 Classic. Available in Microfibre, Polyester or Synthetic Leather. 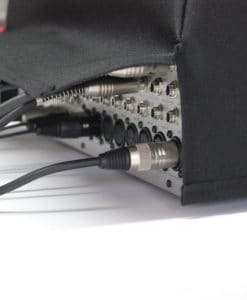 High-quality mixing desk dust cover for KETRON Midjay . Available in Microfibre & Polyester. 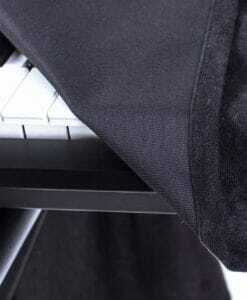 High-quality keyboard dust cover for KETRON Sd 1. Available in Microfibre, Polyester or Synthetic Leather. High-quality keyboard dust cover for KETRON Sd 1 Plus. Available in Microfibre, Polyester or Synthetic Leather. High-quality keyboard dust cover for KETRON Sd 5. Available in Microfibre, Polyester or Synthetic Leather. High-quality keyboard dust cover for KETRON Sd 7. Available in Microfibre, Polyester or Synthetic Leather. High-quality keyboard dust cover for KETRON Sd 8. Available in Microfibre, Polyester or Synthetic Leather. High-quality keyboard dust cover for KETRON Sd 80. Available in Microfibre, Polyester or Synthetic Leather. High-quality keyboard dust cover for KETRON Sd 9. Available in Microfibre, Polyester or Synthetic Leather. High-quality keyboard dust cover for KETRON Sx 3000. Available in Microfibre, Polyester or Synthetic Leather. High-quality keyboard dust cover for KETRON Vega . Available in Microfibre, Polyester or Synthetic Leather. High-quality keyboard dust cover for KETRON X 1. Available in Microfibre, Polyester or Synthetic Leather. High-quality keyboard dust cover for KETRON X 8. Available in Microfibre, Polyester or Synthetic Leather. High-quality keyboard dust cover for KETRON Xd 8. Available in Microfibre, Polyester or Synthetic Leather. 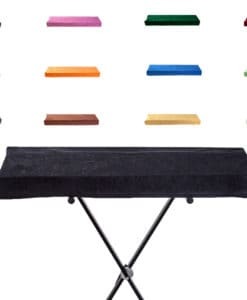 High-quality keyboard dust cover for KETRON Xd 9. Available in Microfibre, Polyester or Synthetic Leather.